Johnson Mfg., Inc. has been leading the way in pull type graders for the past 16 years with sales both nationally and internationally. Grip Trac has been guiding farm equipment in wet fields since 1972. GripTrac can replace tires on most combines, tractors, choppers or other self-propelled equipment on the market with little or NO modifications. Case IH is a leading manufacturer of a wide variety of agricultural equipment. Look no further than Case for quality tractor, planting, cultivating, harvesting, hay and forage equipment and more. Remember, Red Rules. 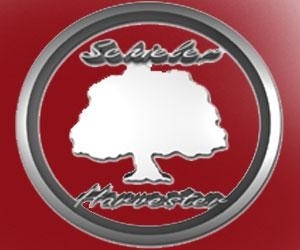 The Schieler Harvester is the FASTEST tree shaker at an affordable price. If you are still using a two-piece tree harvester, discover why the Schieler Harvester is faster, more efficient, and for the right price. Schieler is your solution. Trebro Manufacturing has developed labor saving machines to address needs of the turf grass industry. We are dedicated to remain in a market leadership position through continued new product development and superior customer support.